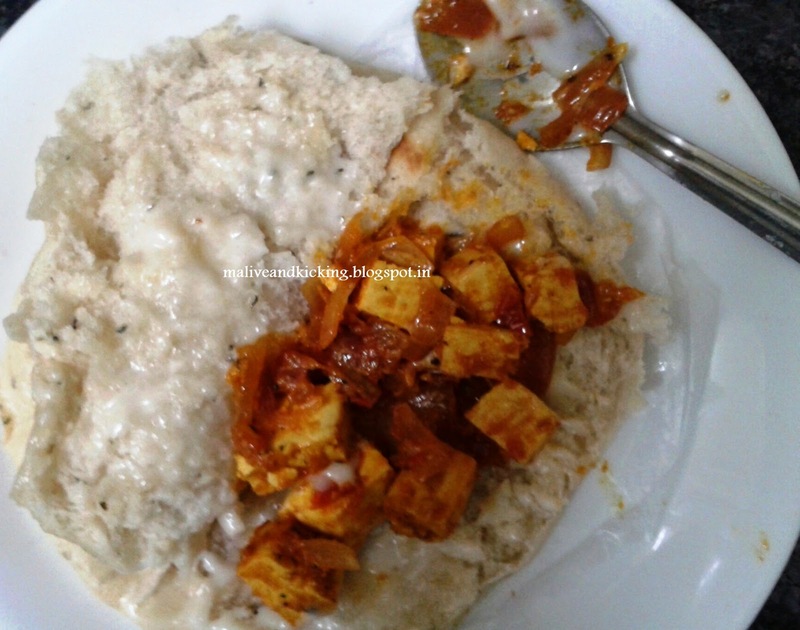 Juggling between similar confusing state today morning, I found myself lacking time to cook usual breakfast consisting of stuffed paranthas n veggie, so on my junior's suggestion I just served him Kulchas with Tofu Stuffed in it. 1. 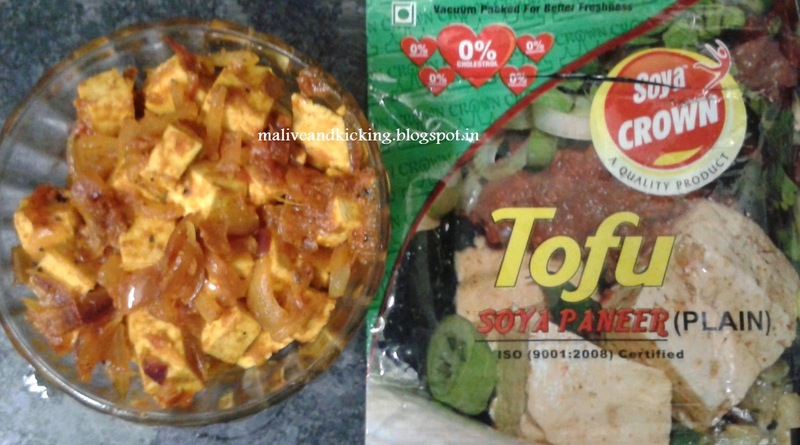 I cooked Plain Tofu with sliced onions and tomato puree with li'l chilli sauce in the preration. Sprinkled some origano flakes for that special aroma and flavour. 2. Shallow fry the kulcha on griddle with butter. 3. 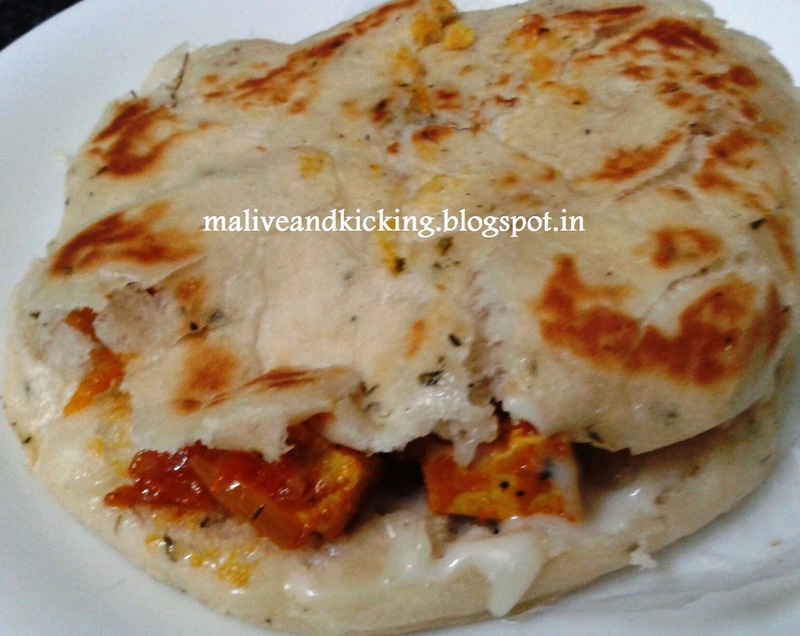 Slit the kulcha, spread a layer of Mayonnaise and filled a generous stuffing of cooked tofu. So does it sounds delicious to you!! 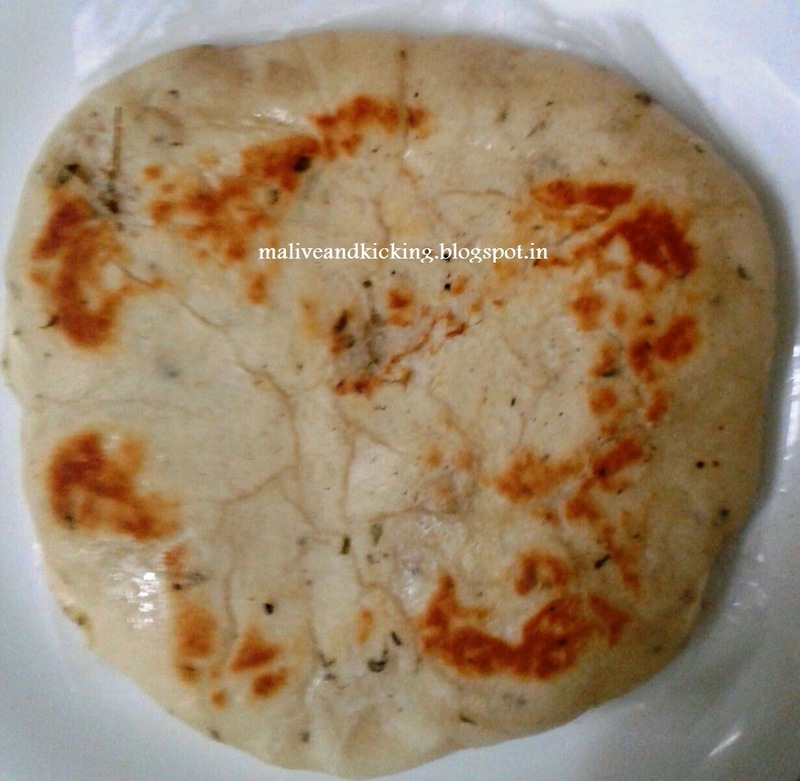 It's a great recipe Shilpa & very easy too. Looks & Sounds yummy. Am sure it would be tasty too. I always struggle with breakfast ideas in the morning especially during the weekends but looks like my prayers have been finally answered. Thanks a lot Shilpa for sharing it.